A: Sure. If nothing else, I'm really interested in finding out where Batman got his Batman-shaped knee pads, and why he thought that little design choice would help him strike fear into the hearts of criminals. The better question would be "Is the market prepared for 11 issues about Batman considering a knee pad purchase." Before I get too deep into this, there's a couple of things I want to get out of the way. First, it's rarely a good idea to speculate on whether a comic's going to be worth reading months before it comes out. As much as I'm, you know, always 100% right about everything, judging a book by a teaser image puts you on some pretty shaky ground. Second, Scott Snyder and Greg Capullo have really given me no reason at all to doubt that they can tell a compelling Batman story. They've unquestionably been the most solid team of the DC reboot, and even when "Death of the Family" skewed a little too far to the grotesque for my tastes, I still really enjoyed it. I've interviewed Snyder more than once, and every time, I come away thinking that he's a super-smart guy who has put a lot of thought into how Batman and his world work. That said, I'll cop to being a little leery about this one. 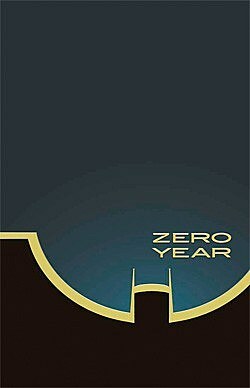 It's pretty easy to see why they'd want to do a new version of Batman's first year (or... zeroeth year, I guess?). Whenever something gets rebooted and the past gets wiped away, there's always the opportunity there to go back and define a character in a way that you didn't have the chance to before -- which we know largely because this is the fourth or fifth time DC has done it. The thing is, DC didn't really throw away all that past when they rebooted a few years ago. A few comics did, sure, but Batman in particular, along with Legion of Super-Heroes and Green Lantern, trundled along as though nothing had changed. Batman Incorporated especially just continued to build on what Morrison had started back in 2006, which in turn was built on everything else he's written for DC, and also the entirety of Batman for the past 70 years. Part of me wishes that the New 52 had just been a clean break and that they just restarted everything all at once, bringing everybody in on the ground floor of a DC Universe that was built today. 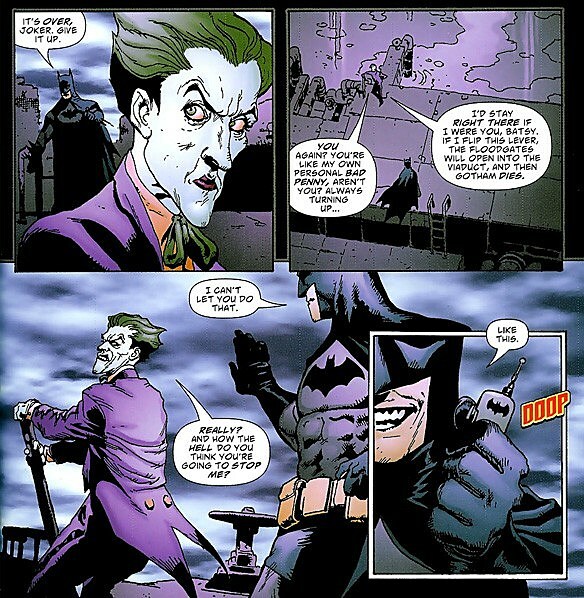 Don't get me wrong, there are plenty of reasons why they definitely shouldn't have done that -- Batman Inc was just picking up steam, Geoff Johns had just spent the better part of a decade making everyone like Green Lantern again by having him fight zombies and rainbows, and properties like Nightwing and Teen Titans don't really work without enough backstory to allow for sidekicks -- but I still think it would've been a little more compelling than the weird "these characters have existed for five years that you haven't seen" setup that we got. I mean, honestly, would any of that have been more off-putting than launching with Superman appearing in three different books set at different points in his career? If you're gonna do a reboot, do a reboot. If they had, Zero Year would seem a little more necessary. They didn't, though, and while they certainly changed enough to make revisiting Batman's past a pretty interesting prospect (I seriously have questions about those knee pads that need answering), it's also pretty problematic. The main sticking point is the obvious: We've seen this story before. And not only that, but we've seen it in a form that a) doesn't require a whole lot of updating, and b) makes pretty much everything else look second-rate just by virtue of being one of the best Batman stories ever. ComicsAlliance's Joe Hughes referred to Frank Miller and Dave Mazzucchelli's Year One as "the gold standard of origin stories," and he's not wrong. 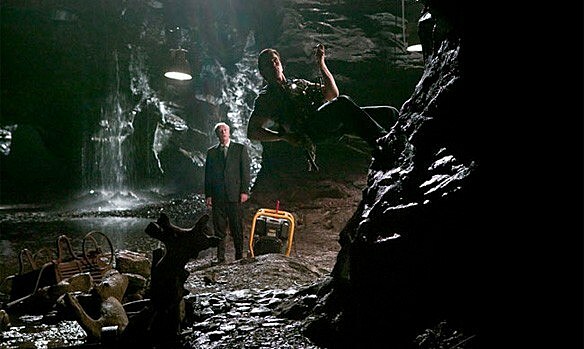 It's one of the cornerstones of the DC Universe, and part of that comes from the fact that it's undeniably popular. 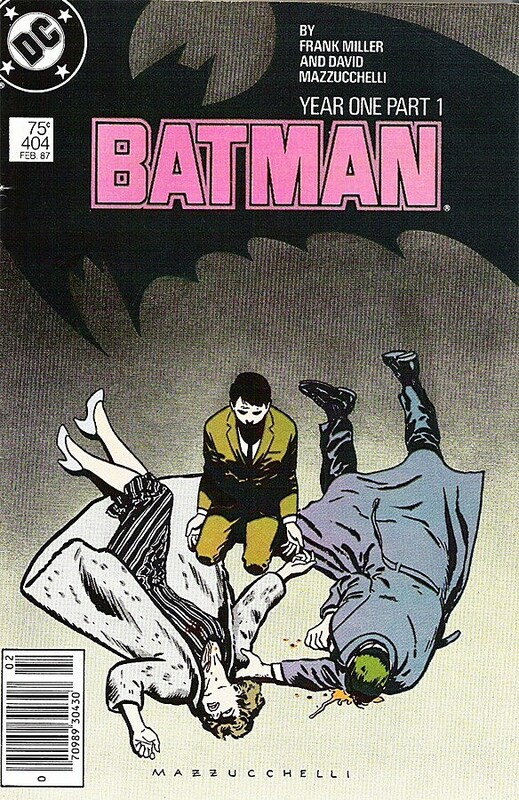 If I had to guess, I'd say it's probably one of the widest-read Batman stories of all time, up there with Dark Knight Returns -- and to be honest, I think it's actually aged a little better. That doesn't necessarily mean that nobody should ever touch Batman's early years again. As tempting as it is to say that nobody's ever going to top Miller and Mazzuchelli, I'm sure there was some dude in 1987 griping about how unnecessary Year One was because Untold Legend of the Batman was already the perfect three-issue origin. It does, however, mean that most of us have already been through the high points. It's that popularity that actually presents the real problem, because Year One didn't just define Batman's origin for the past 25 years. 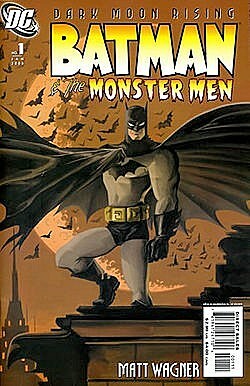 It was so popular and so influential on the character that it created an entire sub-genre of Batman stories. Jeph Loeb and Tim Sale's Long Halloween and Dark Victory, Matt Wagner's Batman and the Monster Men and Batman and the Mad Monk, Ed Brubaker and Doug Mahnke's The Man Who Laughs and a bunch of other stories are set in that "Year One" era. 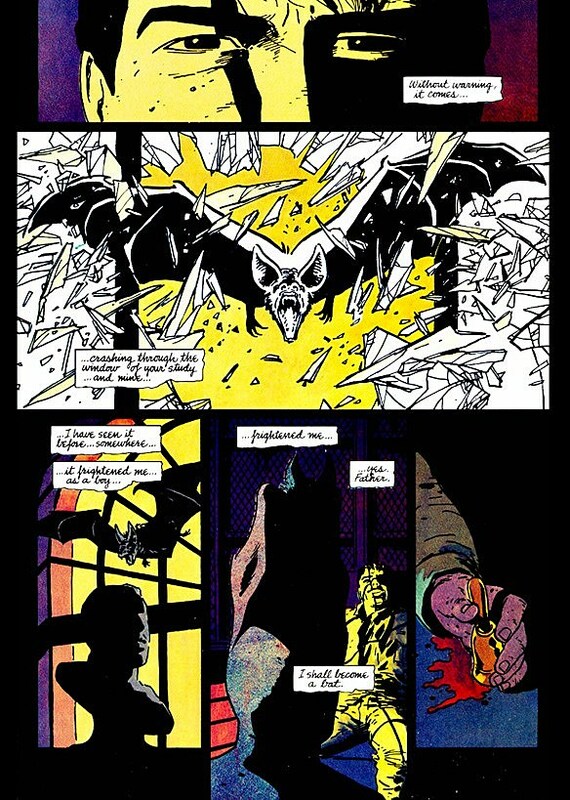 Hell, Legends of the Dark Knight was originally launched to capitalize on Year One's success by doing an entire ongoing series about Batman's early days, there were "Year One" annuals for the whole damn DC Universe, and Robin and Batgirl got their own (really good) Year One miniseries. And even if you get past all that, there's still Batman Begins, Mask of the Phantasm, Batman: Earth One (if you're in the mood to read a version of Batman's origin that's genuinely terrible) and countless other versions of Who He Is And How He Came To Be. If it's a question of necessity, then I can't imagine that Snyder and Capullo are going to manage to avoid retreading anything over the course of an eleven-issue story. At the same time, it's like I said: Snyder's a smart guy, and I'm willing to bet that he has as much respect and affection for Year One as the next guy, even if the next guy happens to be me. He says as much in the announcement, going out of his way to talk about how he wants to "build up the mythology" rather than replacing it, and focus on the parts we haven't seen. ...it's hard not to feel like we've seen that stuff before. I'm a dude who loves to read about Batman, but the absolute last thing I want to read is an eleven-issue (eleven issue!) Extended Club Remix of Year One outtakes. But again: I don't think that's what we're going to get. For all of my griping, I'd be perfectly fine if Syder and Capullo decided to spend the next year moving things forward or taking a break from the events to focus on smaller, tighter stories that fed into their overarching storyline. I've liked everything they've done up to this point enough to give them the benefit of the doubt. Batman's formative years might've been done over and over and over again in the past three decades, but I still think there's fertile ground there. Even if it kept the bathwater when it chucked the baby out the window, the "New 52" reboot does give an opportunity to change things, and if nothing else, I'm interested in seeing what they choose to keep and what they choose to mess with, and how it plays into their goals. Knee pads aside, if we get three issues updating the origin of Batman's Robot Dinosaur, I'll be just fine.